Ronnie was born c. 1942 near Muyinnga, approximately 100km’s west of the Kintore ranges. 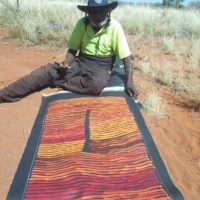 His family travelled widely through the Pintupi lands, living a traditional nomadic life. He was initiated into manhood in the early 1950’s at Yumari near his birthplace. 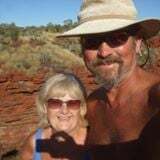 Shortly afterwards, due to drought conditions in the 1950’s, Ronnie and his family moved towards Haasts Bluff and then later joined relatives at the newly settled Papunya community. Like many of his contemporaries, he found work as a fencer making the yards for cattle in the surrounding area. It was during this time that he started to take an interest in the art movement at Papunya. Always wishing to move back to his traditional country, he eventually was able to do so when the Kintore settlement was established in 1981. 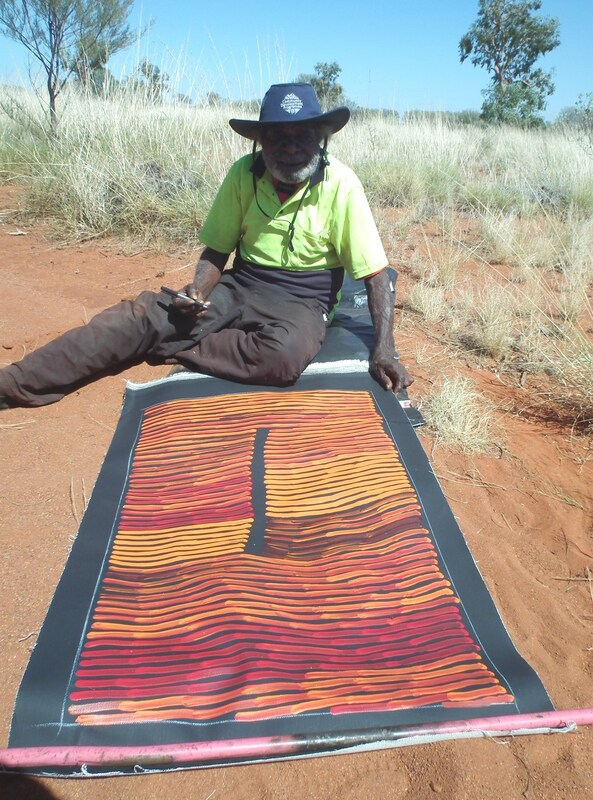 Always strongly affiliated with his country, Ronnie soon emerged as one of Papunya Tula’s major artists. The content of his works are indicative of his cultural beliefs and his artwork has enduringly reflected a purist style of Tingari Dreaming. He is a major Australian Artist, and his work has featured in numerous exhibitions and collections around Australia. He has had solo exhibitions at the Utopia Gallery and the prestigious Gallery Gabrielle Pizzi. 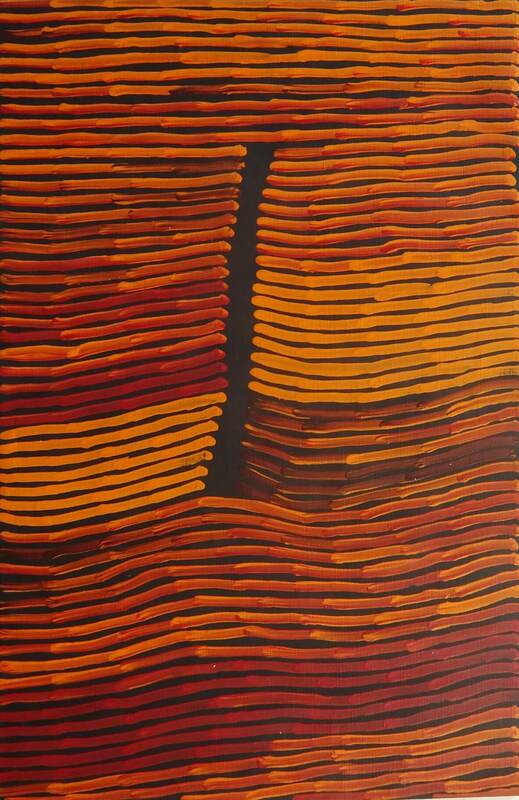 Several of his group exhibitions include the Dreamtime Gallery, The Australian National Gallery and the Art Gallery of South Australia. He is also in permanent collections at the National Gallery and the Art Gallery of Victoria and the Supreme Court of the Northern Territory. This painting depicts a desert Bush Fire sweeping through the country. The gap through the painting depicts the large baron sandhills. The custodians of this dreaming are the Tjangala and Tjampitjinpa’s. They are responsible for body painting and making sure this ceremony is carried out correctly. This ceremony takes place the night before a controlled “bush fire” is lit in their country.